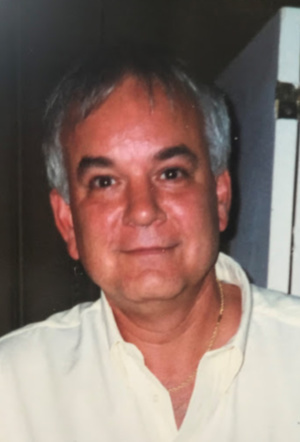 Robert B. Witmer, 68, of Lancaster, passed away on January 29th, 2019 at Lancaster General Hospital. He was the loving husband of Deborah A. (Johns) Witmer. Born in Philadelphia , he was the son of the late Dr. Robert H. Witmer and Audrey (Bickley) Beyer. He graduated from Haverford High School in Philadelphia, PA. Rob received a degree in Sociology from Susquehanna University. Rob loved the outdoors and enjoyed sailing in his younger years. Rob especially loved spending time at Bethany Beach with his family. He was also an avid Pittsburgh Steelers fan! In addition to his wife Deborah of 34 years, he is survived by his stepchildren, Randall J. Edgar, Jr. (husband of Mandy Edgar) and Melissa Vinsky (wife of Joseph Vinsky); and four grandchildren. He is also survived by his brother Ted Witmer husband of Dana of the Democratic Republic of Congo, Africa and sisters Rachel McTague wife of Jim of Alexandria, VA, Barbara Schmidt wife of Mike of Lancaster, Pa and Maria Manby wife of Jeff of Brookfield, WI. Deepest sympathies to Rob’s entire family for your loss. May God bless each of you with His greatest peace and understanding at this difficult time. Our love and thoughts are with you. We are so very sorry to hear of Rob’s passing. He was such a dear, kind, friendly and generous person. May he rest in peace. I am so sad to hear that Rob has passed. He and his family were a big and loving part of my life for many years. He had so many great traits and was a loving man.